This comprehensive survey of Chinese military history is the only book in English to span the significant years from 900 – 1795. Peter Lorge questions current theories on China’s relationship to war, and argues that war was the most important tool used by the Chinese in building and maintaining their empire. 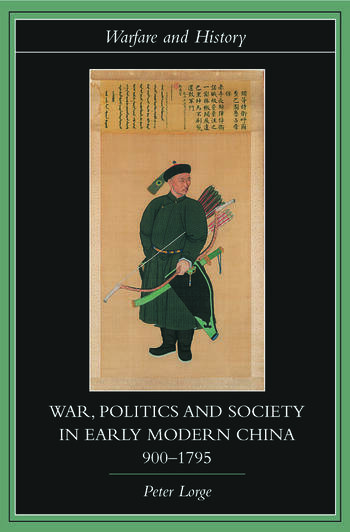 Emphasizing the relationship between the military and politics, chapters are organised around specific military events and, Lorge argues, the strength of territorial claims and political impact of each dynasty were determined by their military capacity. Ideal as a course adoption text for Asian military studies, this is also valuable for students of Chinese studies, military studies and Chinese history. Peter Lorge is Senior Lecturer in Chinese History and Film at Vanderbilt University.